A 30-year veteran of the real estate industry, Randall W. Lewis is a principal and executive vice president of Lewis Operating Corp., a member of the Lewis Group of Companies. Founded in 1955, the Lewis Group is one of the nation's largest privately held real estate organizations focused on developing planned communities, multifamily projects and shopping centers throughout California and Nevada. Randall is well known for his involvement in the community and industry organizations, having served as the president of the Building Industry Association Baldy View Chapter, president of the Inland Empire Arts Foundation, secretary of the Los Angeles County Citizens Planning Council, and lifetime director of the National Association of Home Builders (NAHB). 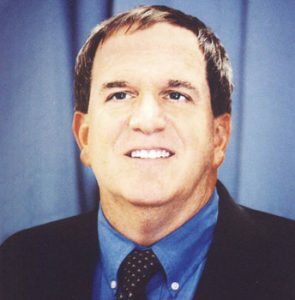 ​As an active and philanthropic supporter of the arts, education and health, Randall also serves on several executive boards including the USC School of policy, Planning and Development; the UCLA School of public Policy and Social Research, the San Bernardino County Alliance for Education; and the Lorna Linda University Medical Center Orthopedic and Rehabilitation Institute Advisory Council. Randall is also a long- time Urban Land Institute (ULI) member as well as a Governor of the ULI Foundation. He received his bachelor's degree in economics from Claremont McKenna College.